Jews have a long tradition with coffee (I can attest!). 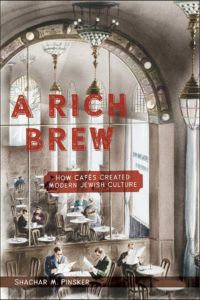 In A Rich Brew: How Cafés Created Modern Jewish Culture (NYU Press), Professor Shachar Pinsker explores the intersection of modernistic Hebrew literature and coffee. We get into the story of Jewish migration through Europe and into America and Israel, why coffeehouses were the silk road of secular Jewish creativity, the golden age of feuilletons, the semitic roots of coffee culture, the way A Rich Brew is about big cities as much as it is about coffeehouses, the importance of thirdspace to bridge the social and the private, and how Shachar narrowed the book down to 6 representative cities. 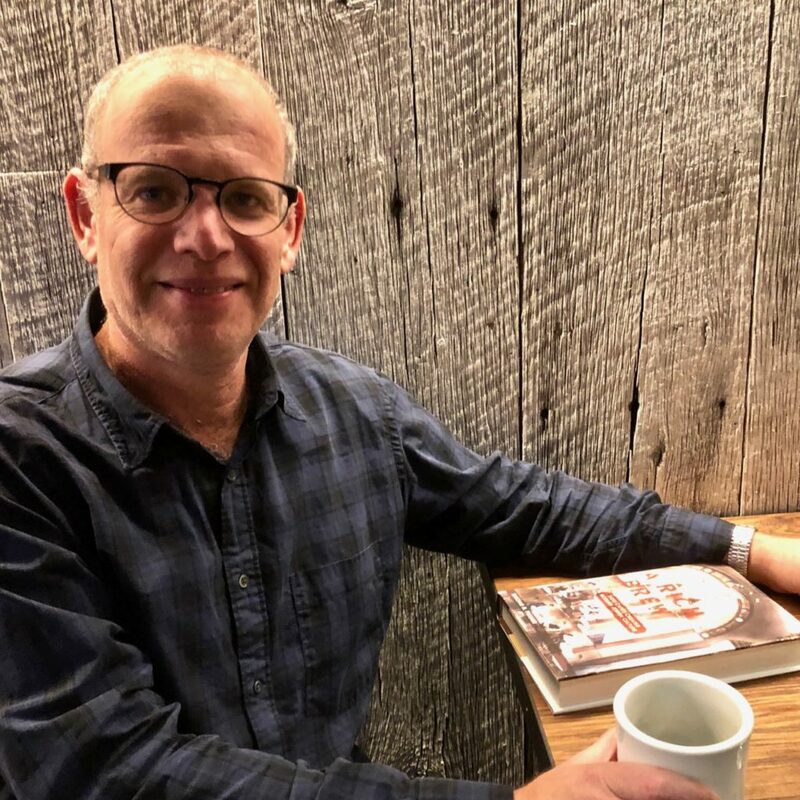 We also get into how his Yeshiva education helped his secular literary studies, his night-and-day visits to Warsaw, and just how we define “modern Jewish culture”! Give it a listen! And go buy A Rich Brew: How Cafés Created Modern Jewish Culture ! As a specialist in modern Hebrew and Jewish literature and culture, I am interested in Hebrew literature written in Palestine/Israel, Europe and America, as well as Jewish literature in Yiddish, English, German and other languages. I have a joint appointment at the department of Middle Eastern Studies and the Frankel Center for Judaic Studies at the University of Michigan. I am the author of A Rich Brew: How Cafés Created Modern Jewish Culture (NYU Press, 2018), the award-winning book Literary Passports: The Making of Modernist Hebrew Fiction in Europe (Stanford, 2011). My third book (in progress) is A Silent Language? Yiddish in Israeli Literature. I am the editor of Women’s Hebrew Poetry on American Shores: Poems by Anne Kleiman and Annabelle Farmelant (Wayne State University, 2016), and the editor of In the Place where Sea and Sky Meet: Israeli Yiddish Stories (Magnes Press, forthcoming 2018), in Hebrew. I am also the co-editor of Hebrew, Gender and Modernity: Critical Responses to Dvora Baron’s Fiction (Maryland, 2007). I publish articles in scholarly journals, as well as in Ha’aertz, The New Republic, The Jewish Week and other journals and newspapers. I lecture widely around the world on all aspects of my research and writing, and as part of the AJS Distinguished Lectureship Program. I teach a variety of courses in English and Hebrew for undergraduate and graduate students. I am also teaching a course abroad in Tel Aviv and Jerusalem. I integrate technology and Digital Humanities in my scholarship and teaching. Credits: This episode’s music is Fella by Hal Mayforth, used with permission from the artist. The conversation was recorded at Mykonos Blue Grill on a pair of Blue enCORE 200 Microphones feeding into a Zoom H5 digital recorder. I recorded the intro and outro on a Heil PR-40 Dynamic Studio Recording Microphone feeding into a Cloudlifter CL-1 and a Mackie Onyx Blackjack 2×2 USB Recording Interface . All processing and editing done in Adobe Audition CC . Photo of Mr. Pinsker by me. It’s on my instagram.